A true one of a kind! 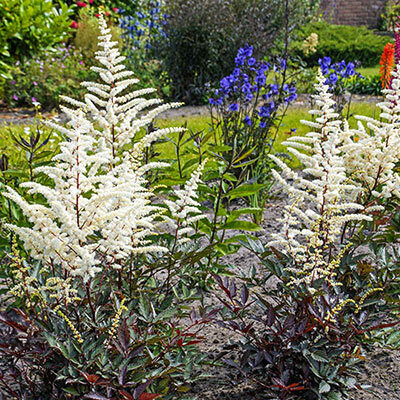 Fluffy white plumes contrast beautifully with coffeecolored foliage. 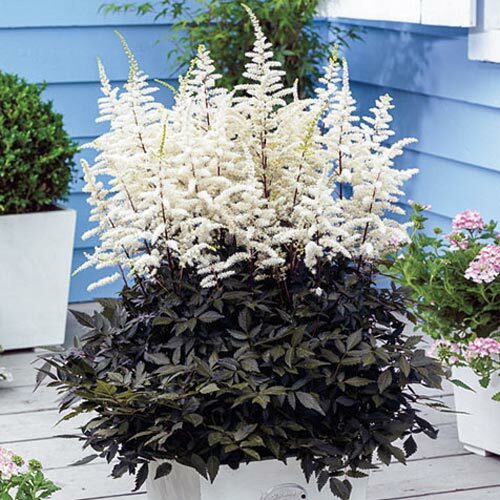 'Cappuccino' creates quite a buzz in a patio container thanks to the year-round attractiveness of its foliage. 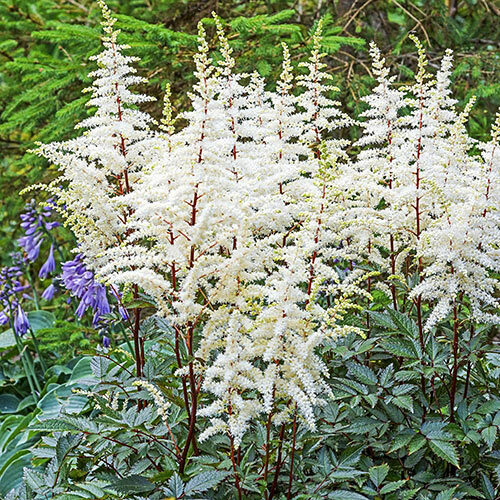 Best in regular to moist soils. Dark bronze folliage changing to dark green after flowering time.